Shamanic Extraction Healing Training is now one of the FSS prerequisites for the Power Soul Retrieval Training. Narrye Caldwell is a shamanic healer, martial artist, and practitioner of Traditional Chinese Medicine. She has been in private practice in Santa Cruz for 25 years. 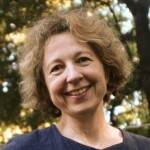 She is guest faculty with the Foundation for Shamanic Studies, and teaches classes at Five Branches University and the Academy of Martial Arts in Santa Cruz, CA.